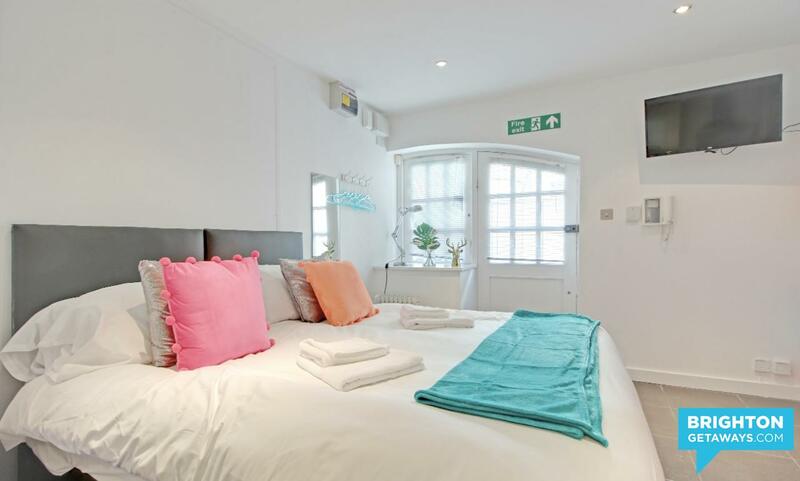 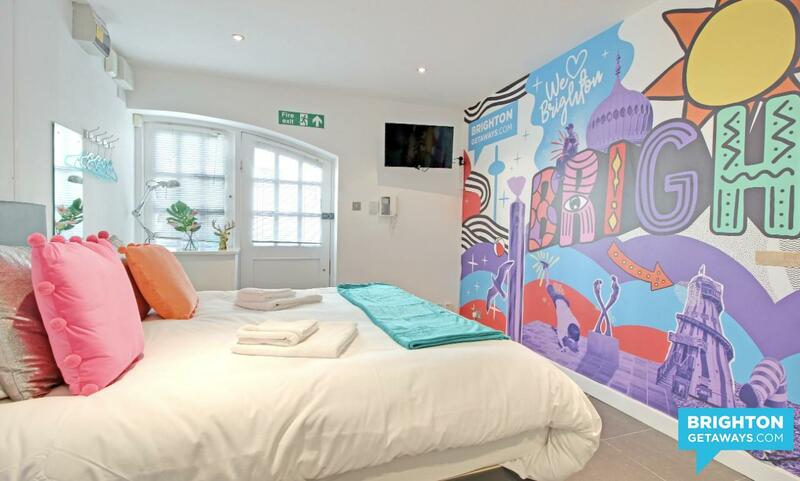 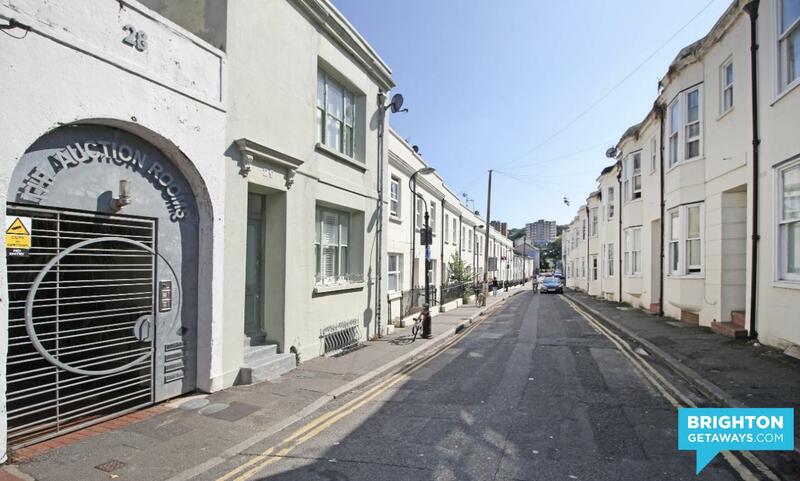 Exclusive to Brigton Getaways, enter the charming pedestrianised Mews, where Artist Studio is situated on the ground floor. 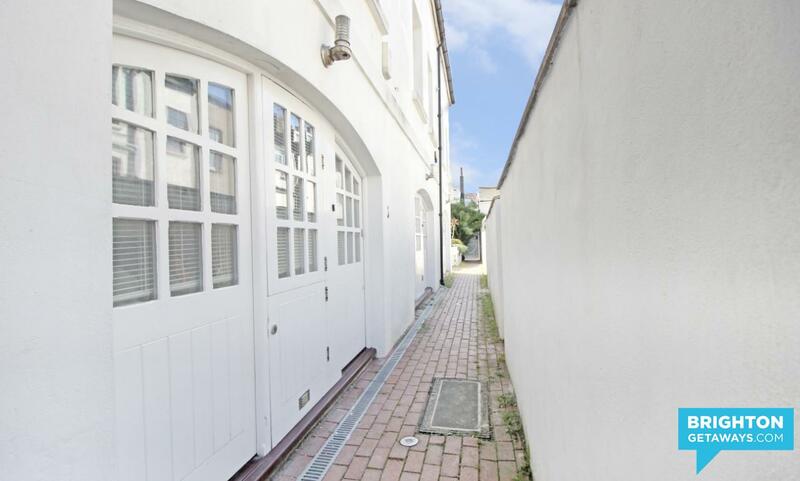 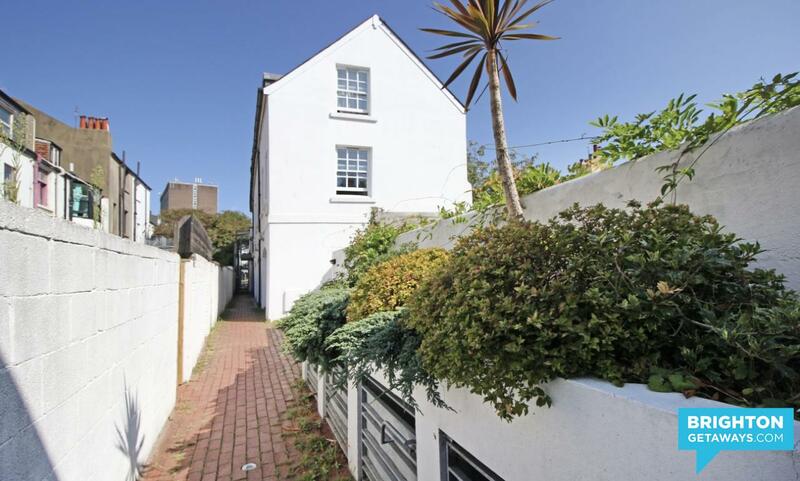 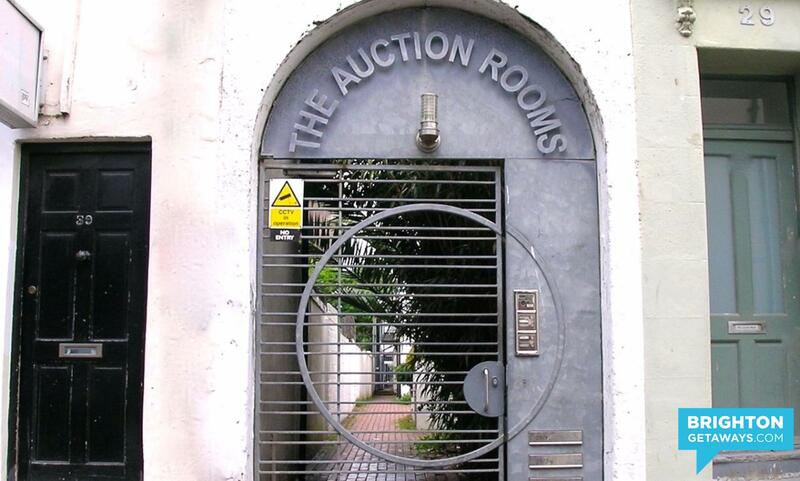 It's hard to believe you are in the centre of Brighton's North laines behind Sydney Street. 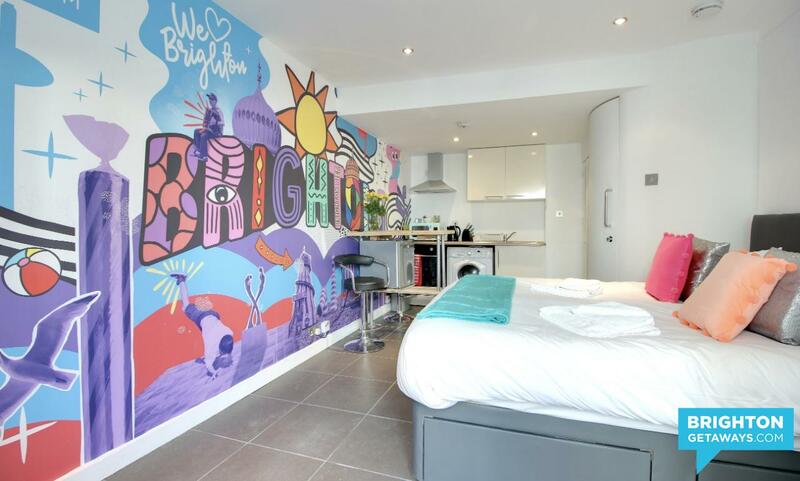 The artist inspired studio, is super funky with a 5 metre long murual of all things Brighton on one of the walls - your facebook & instagram feeds will be humming of pictures of it we are sure. 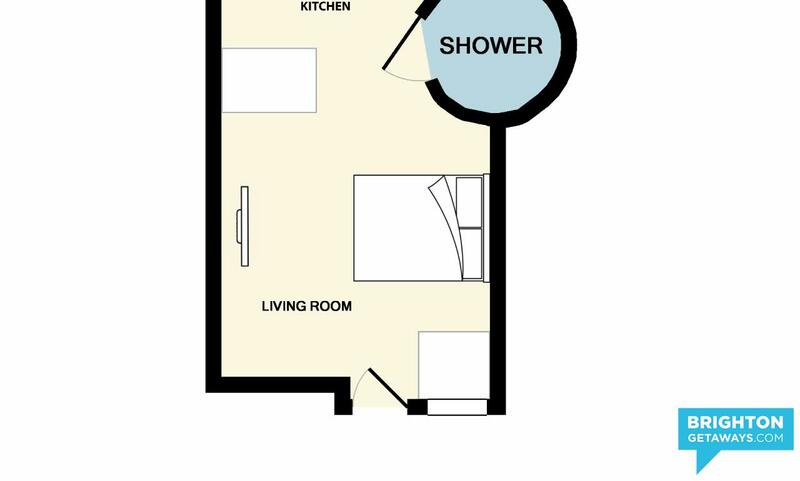 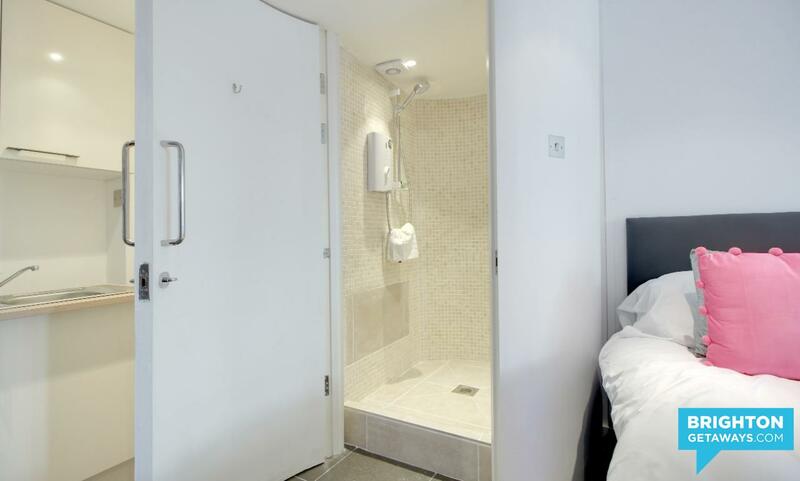 The property has a shower cubicle with the most powerful electric shower on the market, underfloor heating, fully loaded kitchenette, with fridge, washer dryer, sink, microwave, kettle, plates, cutlery and glassware for up to 3 guests. 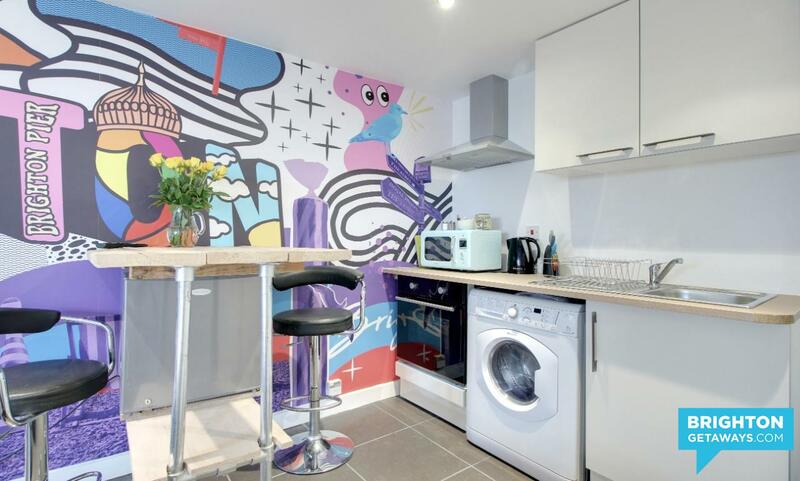 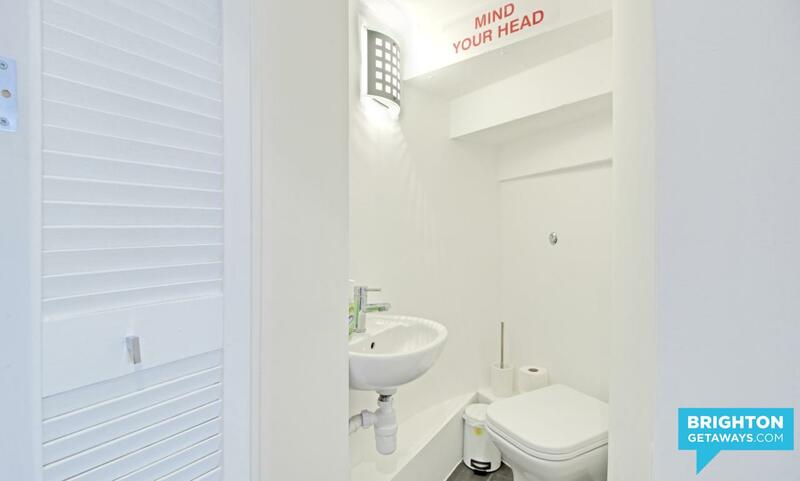 Equipped with high speed wifi, flatscreen TV, breakfast bar and bar stools for eating your meals and a toilet & washbasin, this really is an amazing space to a short or extended break in Brighton, within walking distance of Brighton train station, 10 minutes away.